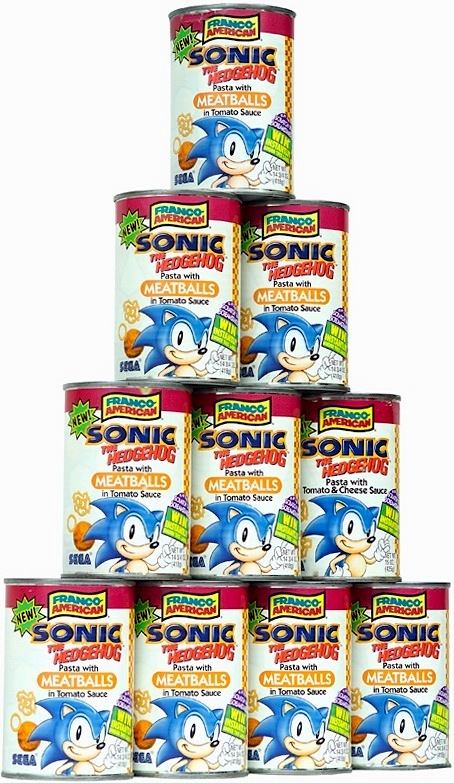 Our Sonic/Franco-American Spaghetti co-branded packaging design for Campbell’s Soup. 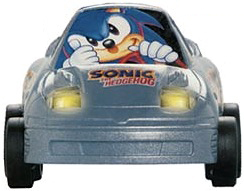 Our graphic treatment on a Sonic R/C car—among USA Today’s Top 20 Toys of the Year. We created the style guide for Sega’s flagship property and character, Sonic The Hedgehog, who quickly won the hearts of young gamers worldwide—becoming the best-selling videogame character of all time. 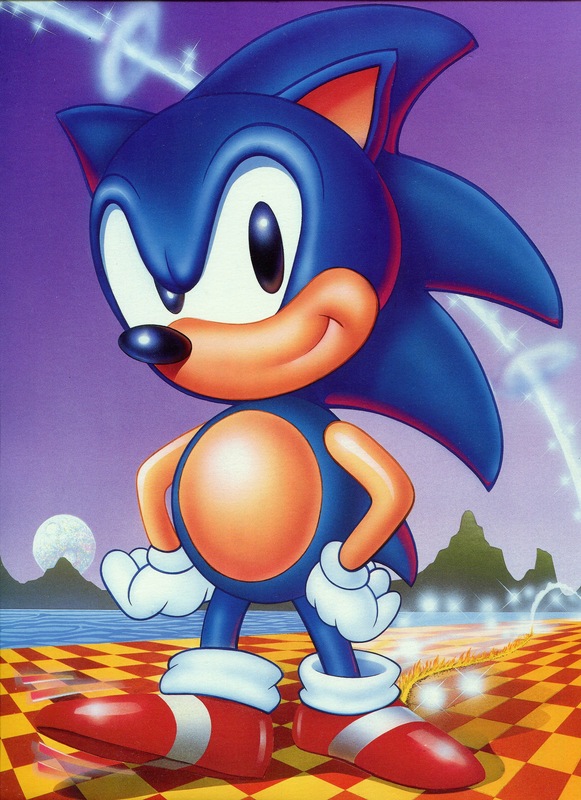 Rather than his taller, gangly Japanese counterpart, Sega wanted Sonic to be shorter, cuter and rounder. Working closely with the Sega of America Design Team, we restyled Sonic for the US and international markets. Licensing and co-promotions represent additional revenues, while adding value in the form of increased brand recognition. Licensing style guides serve as bibles for brands. We designed Sonic’s style guide to guide Sega’s licensees and strategic partners in properly using and portraying this character across a wide spectrum of licensed products and co-branding promotional opportunities. As a Preferred Vendor to Sega, we illustrated and designed Sonic packaging and promotional art for brand leaders including Coca-Cola, Campbell’s Soup, Mattel, Milton-Bradley, Nikko, Western Publishing/Golden Books and Thermos, among many more—across a broad range of categories. In addition to generating its own revenues, Sonic’s licensing helped drive global sales of Sonic The Hedgehog videogames to over 80 million units—and significant combined total revenues. Explore how you can hedge your brand’s bets, as well—with us. 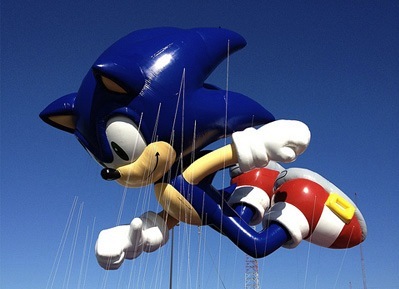 The first videogame character to become a Macy’s Parade balloon. Note: respecting the proprietary nature of licensing and the licensors and licensees with whom we work, no actual style guidance is depicted—only our images or resulting ones in the public domain.